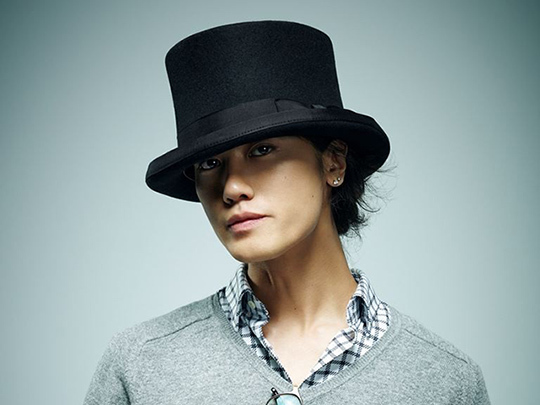 Jin Akanishi Won Chinese Awards in Two Categories, Including Popular Artist Award. Jin Akanishi Won “Asia Popular Artist Award” and “Annual Music Award” at iQiyi All Star Carnival 2016, a Chinese Culture Award held in Beijing on the 5th of December. iQiyi All Star Carnival is an award held by iQiyi , a Chinese distributor, for the whole Asian territory’s excellent films, music, and TV dramas. Akanishi won “Asia Popular Artist Award” given for an artists who are activeand has some career in that territory, and “Annual Music Award” presented to ten artists who are popular and influential. Akanishi launched his career in China at “Shanghai west bund Music Festival” in September 2014, followed by two solo shows in Shanghai in December 2014 and November 2015, which proved his popularity and led him to the first achievement of winning two awards at a time as a Japanese artist.